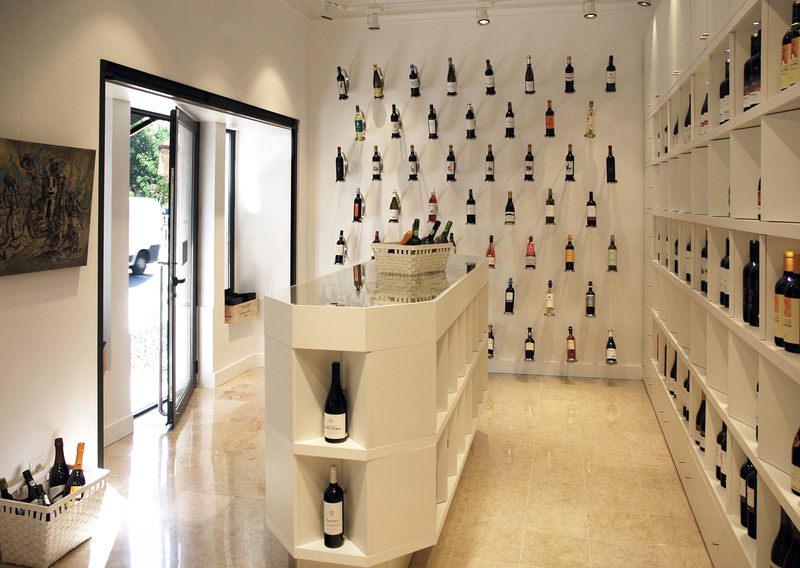 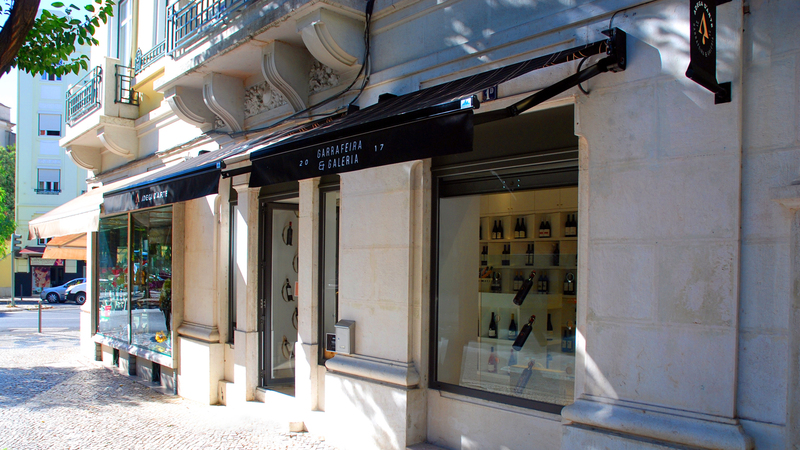 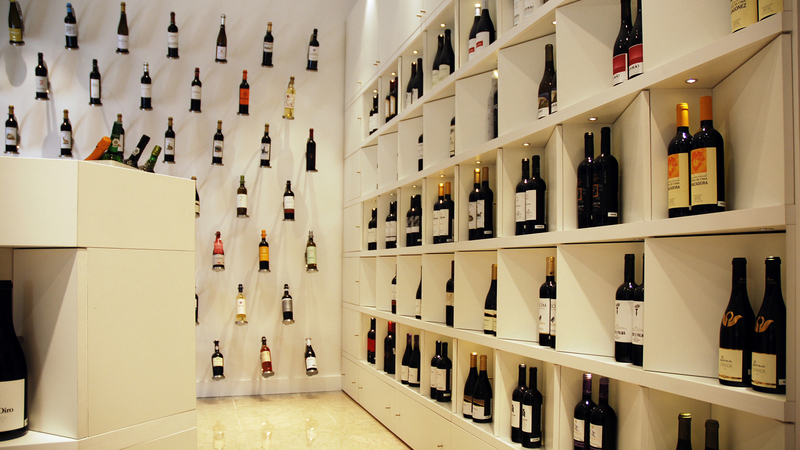 Complete shop renovation in Lisbon for a wine shop and art gallery. 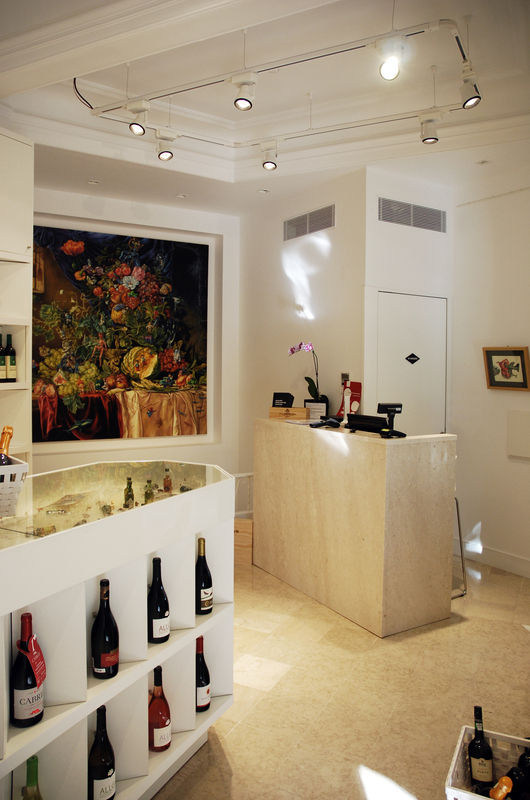 Refurbishment – finished. 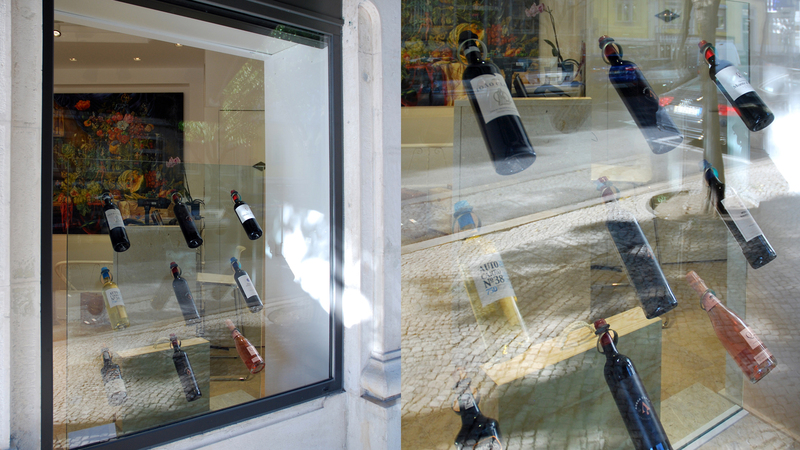 On a double level exiguous space, the concept was to show the bottles as if they were works of art, avoiding the usual clutter, typical to this type of stores. 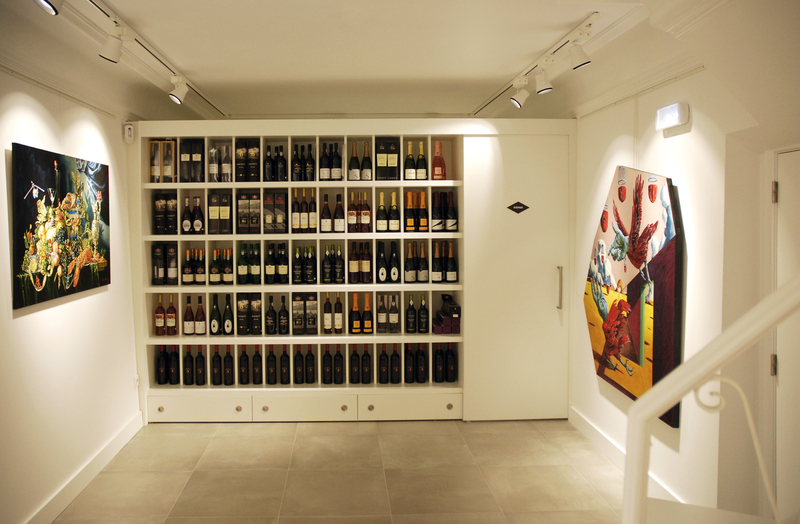 Specially designed cupboards and shelves and a wall with seemingly floating on air bottles convey an airy and fresh look to the shop, allowing for the visual coexistence with the real works of art hanging on the walls.